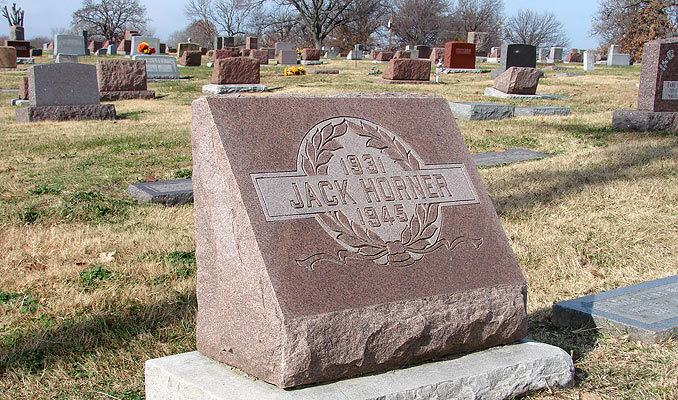 The grave of Jack Horner in the corner of Joplin, Missouri's Forest Park Cemetery, 3rd Street and Range Line Road, is one of the lesser known odd sights in the area. In fact, I can't find that anyone has previously noted it. Note the dates on the stone: 1931-1945. He was about 14 at the time of his death, making him - by age, anyway - little Jack Horner. And Jack really is buried in the corner of the cemetery. That's Range Line Road (Hwy 71) in front of him. According to Stefan Joppich's Route 66 Web and Atlas, this stretch of Range Line was Route 66 from 1956 to 1972, which makes Jack a Mother Road attraction. I had assumed that Jack's placement might have been deliberate - perhaps the result of an ill 14 year-old's defiant sense of humor. But, no. The randomness of it is weirder than that, because Jack may not always have been always on the corner. According to the Joplin Cemeteries office, Forest Park Cemetery once extended farther to the south, all the way to 4th street. 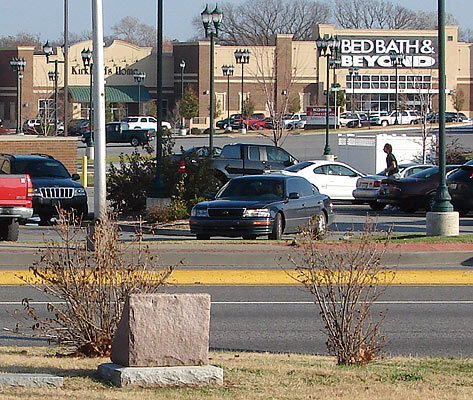 Decades ago, a cemetery employee said, some graves were moved from the corner area and local businesses soon occupied the land. He did not know the exact date of the grave relocations as the city didn't take over the cemetery until 1988, after it was abandoned by the previous owner. I found a 1978 city directory which shows a a Texaco station at the corner; Subway and a Mazio's Pizza are two of the businesses that now occupy former cemetery land. So, depending on if the grave relocations were before 1945, it may be that Jack Horner sits on the corner by design - if he was buried after the relocations - or that a matter of coincidence if he was buried before and the grave relocations stopped with his eternal resting place. It is also possible that Jack himself was relocated to the corner, deliberately gaining him his nursery rhyme status. Jack's grave (center, facing street) is the southern-most one in the farthest row east. 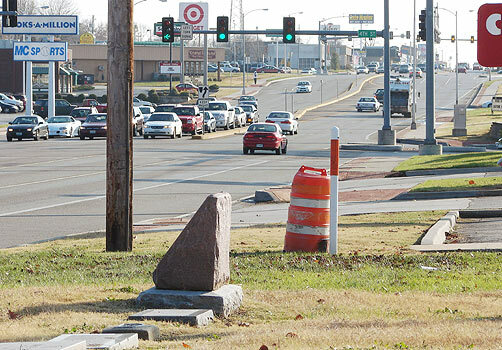 This eastern row faces Route66/highway 71/Range Line, which was enlarged many years ago, but after the burials, thus leaving not too much space between those who rest in peace and the bustle of the busiest road in Joplin. And what does that nursery rhyme mean, anyway? According to Nursery Rhymes Lyrics and Origins, the first publication date of "Little Jack Horner" is 1725. The website identifies Jack Horner as John Horner, steward to Richard Whiting (1461 - 1539) the Bishop of Glastonbury during a time when King Henry VIII was attempting to seize Glastonbury Abbey for its treasure and lands after Henry's split from the Roman Catholic Church. The story goes that the Bishop of Glastonbury tried to bribe the king with a pie containing deeds to twelve valuable estates. Pie was apparently used at this time as a way to hide valuable from thieves. This sounds dubious to me - a bit too much like a plot device in the old Batman TV series - but I suppose giant pies could have been their equivalent of the fake rocks in which we hide our emergency house keys. Of course, were I a thief, I'd steal the pie. Anyway, Horner is said to have robbed the pie of its "plum" - the deeds to the manor of Mells, the most valuable of the twelve. I should note that Mells contained profitable lead mines and "plumbum" is Latin for "lead." The bribe did not work, and the Bishop of Glastonbury came to an unfortunate end. He was drawn and quartered by Henry's order for the crime of staying loyal to the Catholic church. Horner is reputed to be one of those who testified against him. Other versions of the legend, such as one at the BBC website, have it that Horner somehow obtained the deeds to Mells through political subterfuge and presented them to Henry, who was so pleased that he gave Horner the manor. Whether Horner was guilty of stealing the deeds or not, it is a fact that the Horner family owned Mells from that time until the early 20th century, though they, and subsequent owners, deny the validity of the connection between the nursery rhyme and any events of Horner's life. I can find no speculation online as to the Christmas reference ("Christmas pie") in the nursery rhyme. The Bishop of Glastonbury was drawn and quartered on November 15, and though modern retailers view that date as was well within the Christmas season, I very much doubt the English of 1539 did so. One possibility for the Yuletide connection is that Glastonbury Abby, itself steeped in the Arthurian legends for supposedly containing the remains of Arthur and Guinevere, was also the home of the Glastonbury Thorn, a specimen of the common Hawthorn tree that was rather uncommon as it flowered just a few days past midwinter - Christmas. This flowering was considered miraculous, and the Glastonbury Thorn brought additional fame to the abbey as cuttings of it were sent far and wide. 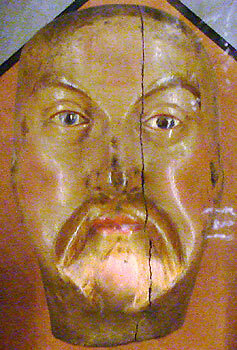 The Glastonbury Thorn was first mentioned for its connection to British Christian legends in the early 16th century writing, "Lyfe of Joseph of Arimathea" in which the miraculous tree is said to be the result of Joseph planting his staff (from the holy land) at Glastonbury during a trip to England which he took after Christ's crucifixian. The publication date is usually listed as 1502, so the tree might well have existed by the 1539 death of the Bishop of Glastonbury and Horner's possession of Mells manor. The miraculous Christmas-blooming tree was well-known and documented by the earliest publication date of "Little Jack Horner" in 1725. If you want an example of just how many variations on a legend one can find on the Internet, try googling "Glastonbury Thorn." Without a time machine or some supernatural connection, we'll probably never know the true origins of the "Little Jack Horner" rhyme. 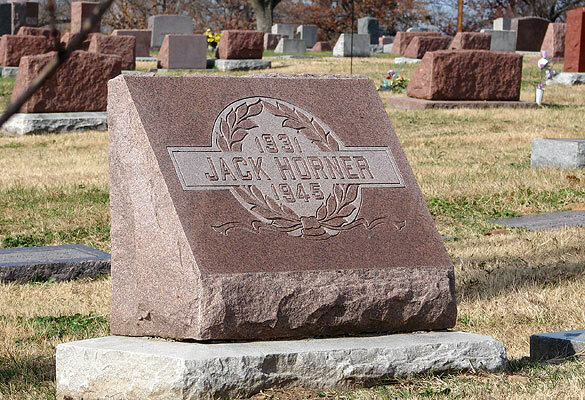 Perhaps we should ask the Jack Horner buried in Joplin. After all, he is facing Bed Bath & Beyond. Good job of researching. Cow for one, will never look at a pie in the same way. That's too cool. And, considering I have relatives who used to live in Joplin, even cooler. I've searched all of the Missouri Death Certificates and cannot find one for Jack Horner. There is another grave in the same cemetery of a lady who died... a Leota Lyle Jacobs Horner 1905-1934. Not sure if she were related to Jack; perhaps his mother? Well, the Internet is full of surprises. This is the grave of my uncle, who died of rheumatic fever at the age of 13. I can tell you the position of his final resting place is purely a coincidence. He is the son of Elmer L “Jack” Horner and Leota Horner, both also interred there. And he was raised by Bernita Kernal, also there. I am not aware of his grave having ever been moved. It was there the many times we visited Bernita in Webb City. I recall visiting the grave as early as the mid 60s. I can tell you “Little Jack” was a Boy Scout, and a football fan. I have his Boy Scout handbook, his football and his Street and Smith Football Annual magazines. She was his mom. She passed from complications in childbirth. “Infant Horner” born Dec. 30 also is there with her.